Cardiovascular Disease – the buildup of plaque and gradual clogging of the arteries, is statistically the number one killer in the world, with on average 2,200 Americans dying of cardiovascular disease each day! With mortality rates like that, cardiovascular health is one of the most important body systems to maintain and repair. While progressive clogging of the arteries can be caused by diet, genetics and an unhealthy lifestyle, preventing and repairing the damage naturally is not impossible with these 3 sets of rules. 1. 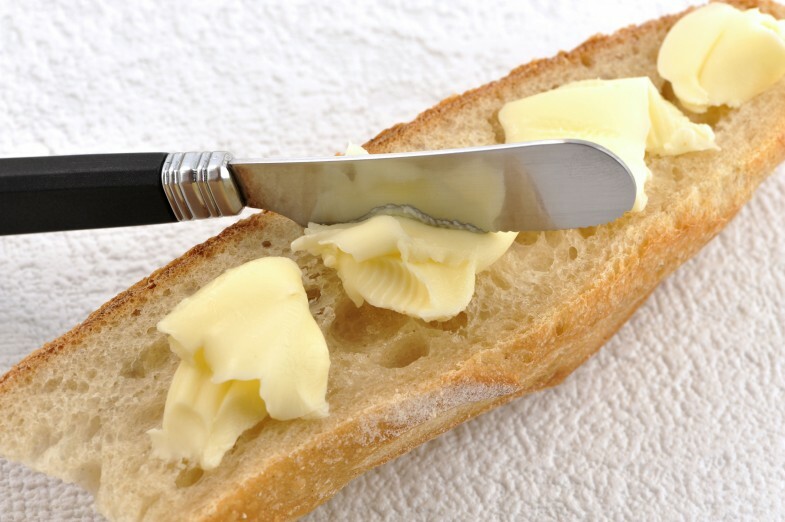 Cut out foods that clog your arteries, especially foods high in saturated fats and trans fats. 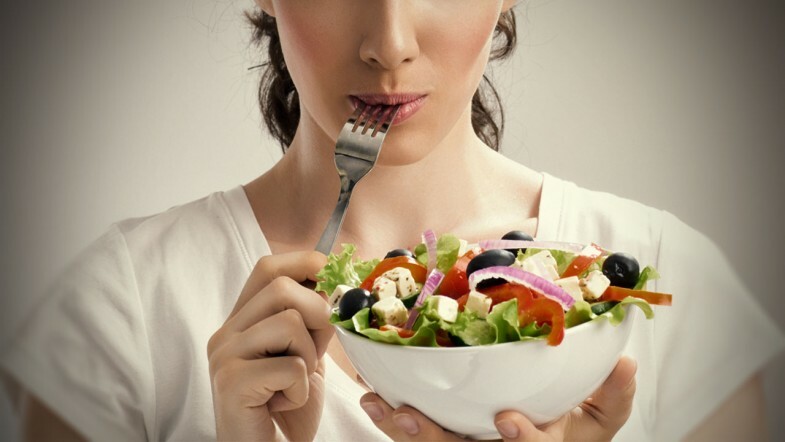 Avoid greasy fast food and other forms of junk food. You should also limit or avoid animal fats, like butter and lard. Saturated fat turns into cholesterol when it enters the body. It can solidify and stick to your artery walls, causing them to become inflamed. 2. Eat healthy fats. As a general rule, unsaturated fats are less harmful for your artery health that saturated fats. A few of these unsaturated fats can even take things a step further by clearing out your arteries. 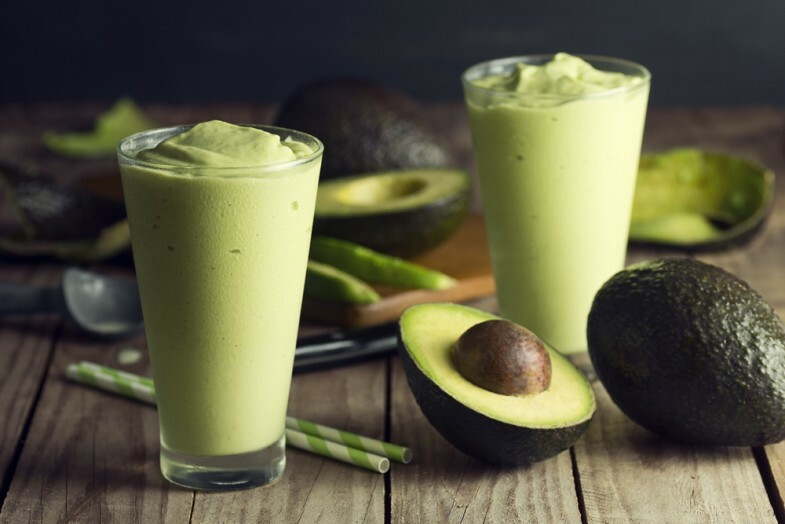 Avocados contain 15 grams (5 oz) of unsaturated fat, along with plenty of vitamin C, vitamin K, fiber, folate, B6, and potassium. Eating an avocado every day for one week is believed to drop total cholesterol by as much as 17%. Olive oil contains high levels of monounsaturated and polyunsaturated fats, both of which can help your arteries. Use olive oil instead of butter or other fats when cooking. Nuts are another great source of healthy fat. 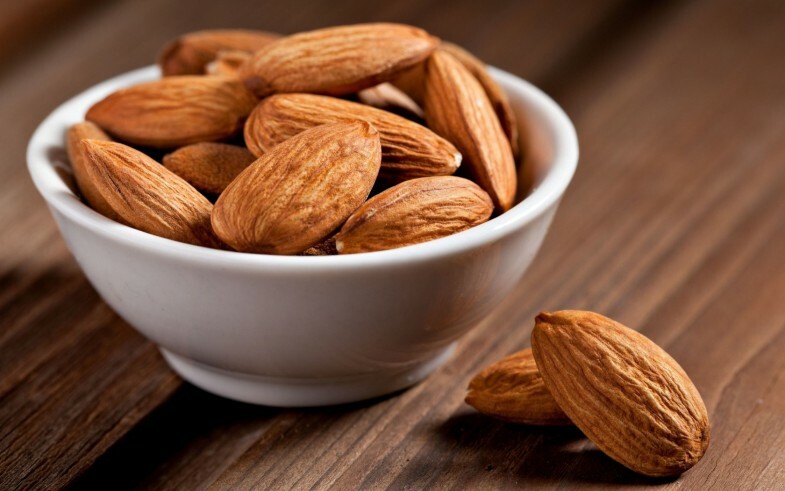 Almonds are high in monounsaturated fats, vitamin E, and fiber. Walnuts are a great source of omega-3 fatty acid. Fatty fish is also high in omega-3 fatty acid. Good examples include tuna, salmon, mackerel, and herring. 3. 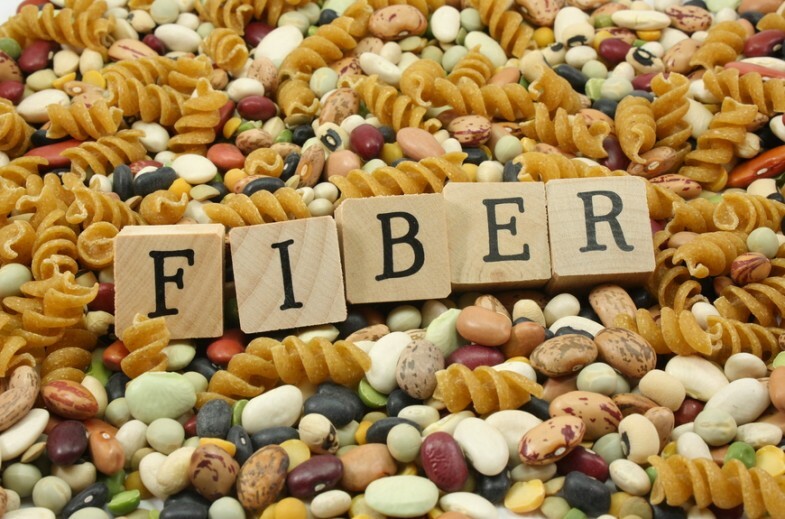 Increase your fiber intake. Soluble fiber can bind cholesterol inside the body and drag it away. As a result, your arteries become cleaner and less inflamed. Whole grains, like whole-wheat bread and brown rice, are one of the best sources of dietary fiber. There are a few vegetable sources you can rely on for fiber, as well. 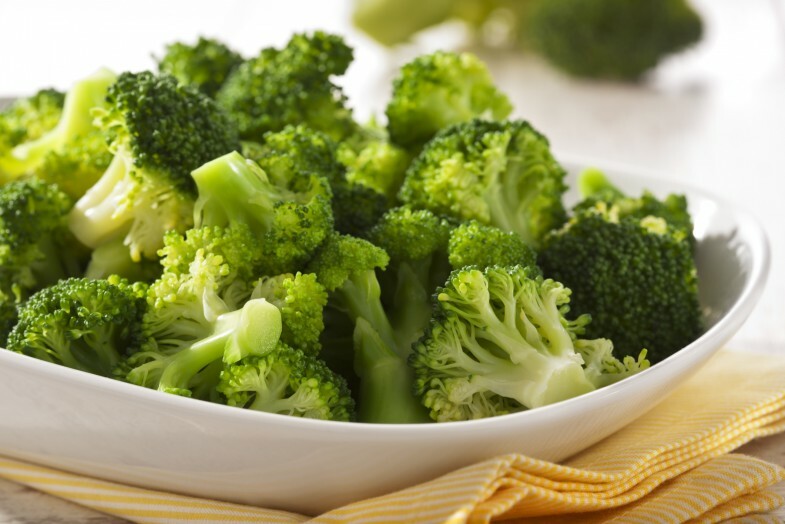 Broccoli is a good example, and it also contains vitamin K and calcium. 4. Consume liquids rich in antioxidants. Antioxidants assist the body in protecting itself. Some of the best fluids to drink for your artery health include pomegranate juice, orange juice, and green tea. 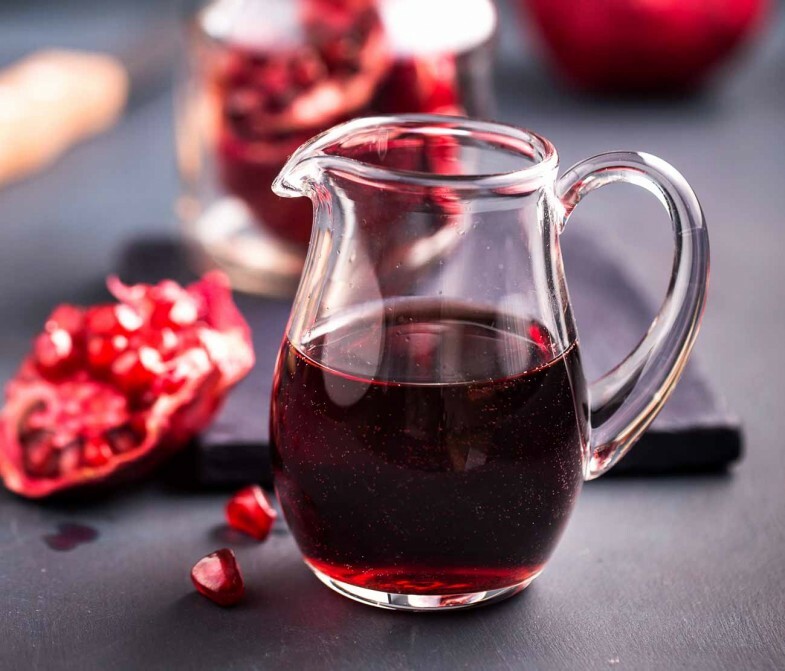 Pomegranate contains phytochemicals, a special type of antioxidant that can protect the lining of the arteries from damage. 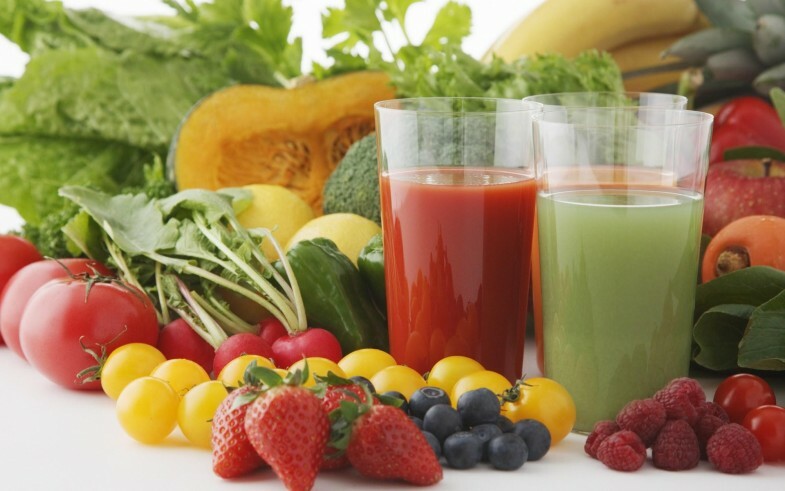 This juice can also stimulate the production of nitric oxide in the body, which helps keep your arteries open. Orange juice is high in vitamin C and may help reduce your resting blood pressure. The antioxidants in this drink can also help improve your overall blood vessel function. 5. 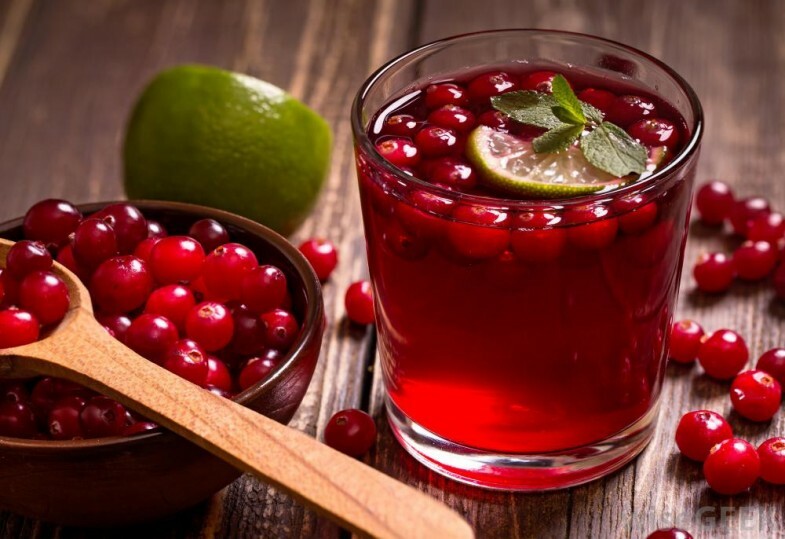 Increase cranberry intake in your diet. Cranberries are powerful internal cleansers. Consuming them can help reduce “bad” LDL cholesterol while raising “good” HDL cholesterol. Regularly eating cranberries can help reduce your overall risk of heart disease by as much as 40%. 6. Drink coffee moderately. A moderate amount of coffee may actually help your artery health, but too much can hurt your heart. Drinking more than two but fewer than four cups each day for more than a decade can decrease your risk of artery and health disease by as much as 20%. Drinking more than four cups each day can cause an increase in blood pressure, though, which can throw off the rhythm of your heart beat. 7. Turn toward foods containing folic acid. Vitamin B is helpful to your overall heart health, in general, but folic acid or folate is a special form of vitamin B that seems to have a direct connection to artery health. One natural food source high in folate is spinach. 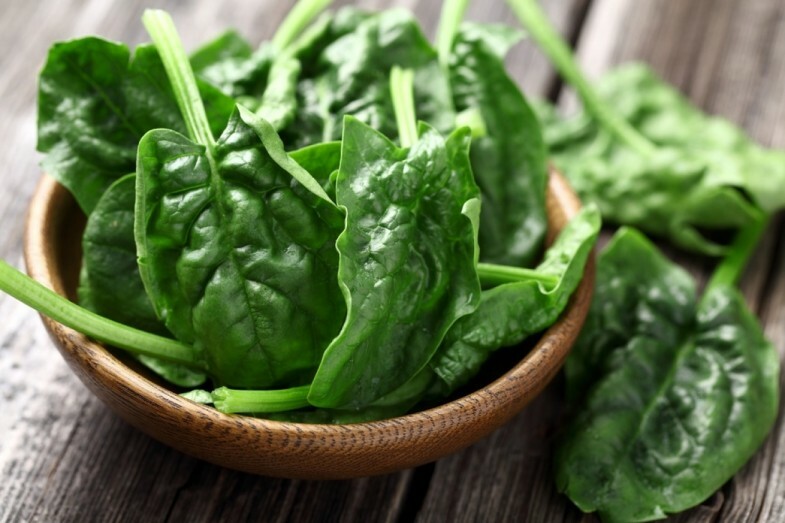 Spinach also contains a large dose of potassium, and the two nutrients combined can help lower your blood blood pressure. Most dark green leafy vegetables can also boast similar claims concerning folate content. Other good sources of folate include citrus fruits, peppers, and watercress. 8. Use the right spices to season your food. Certain spices can work with your body to help fortify it against threats to your health. 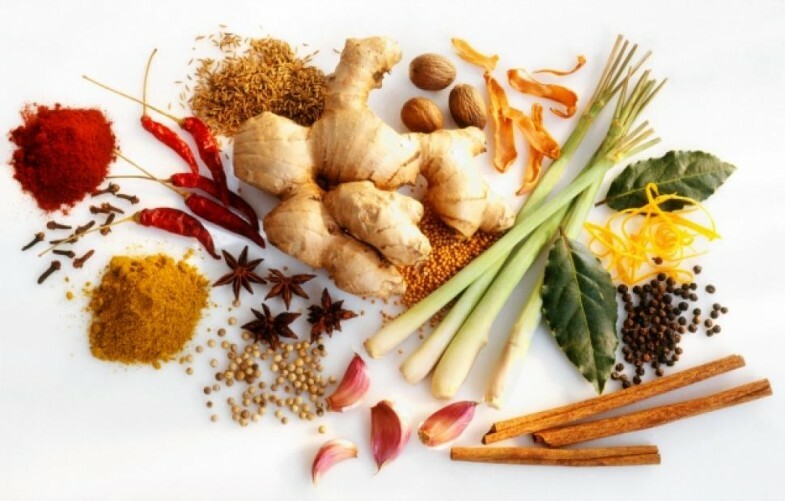 Spices specifically beneficial for your arteries include turmeric, cinnamon, and garlic. Turmeric is an anti-inflammatory, so consuming it prevents your artery walls from constricting too severely. 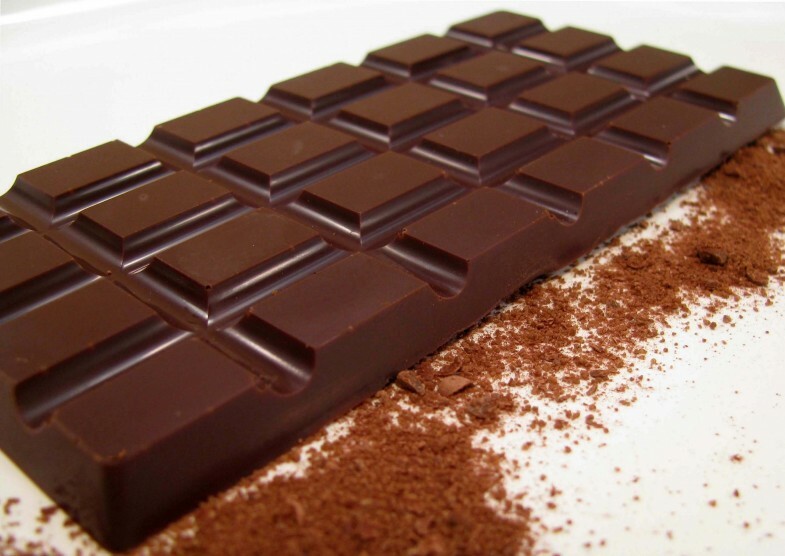 It can also help reduce fatty deposits in your arteries by as much as 26%. Taking as much as 1 tsp (5 ml) of cinnamon each day can reduce the overall amount of fat in your bloodstream. This, in turn, helps prevent further plaque buildup while lowering bad cholesterol. Garlic is commonly used to flavor foods, as well, and is believed to lower blood pressure, reduce cholesterol, and remove blood clots. It widens your blood vessels and promotes better circulation. 9. Include foods fortified with sterols. Inside the digestive tract, sterols and cholesterol compete to be absorbed, so consuming more sterols can make it more difficult for cholesterol to stick around inside the body. Foods commonly fortified with sterols include orange juice, margarine spreads, and milk. 1. Do more aerobic exercise that will get your blood pumping. Enough aerobic exercise can increase the endostatin found in your body. 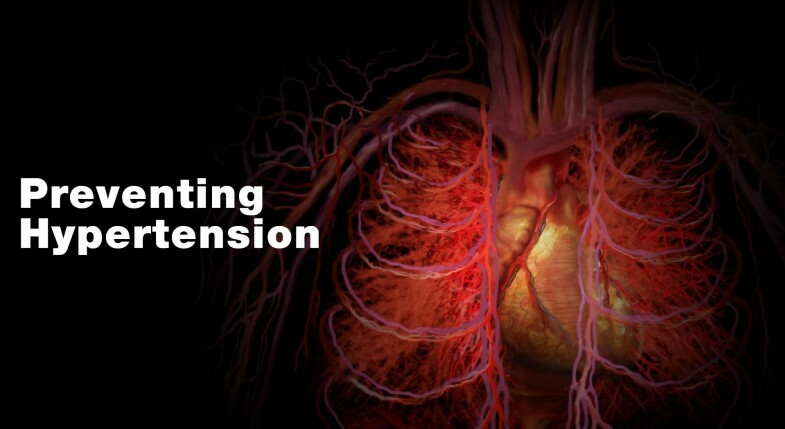 Endostatin is directly involved in the process of arterial growth. A study performed in 2004 concluded that endostatin can increase by 73 percent after spending 10 minutes on a treadmill going 5 miles per hour (8 kilometers per hour). This effect can last for up to two hours. Swimming, basketball, and jogging are all good forms of exercise to try if you want to get your blood pumping quickly. If vigorous exercise is too much for you right now, though, start by walking at a moderate pace for three hours per week. Make sure that each walking session lasts for at least 30 minutes. 2. Stop smoking. Smoking can contribute to the amount of plaque building up in your artery walls. 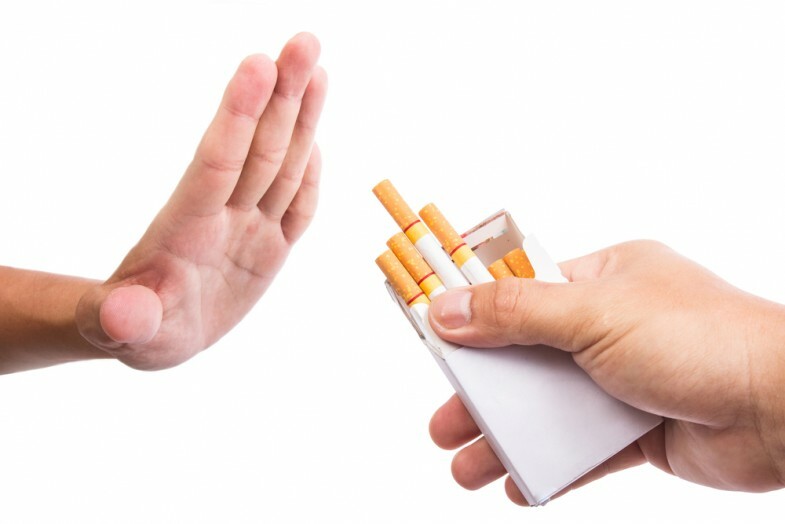 While quitting the habit will not directly cleanse those walls, doing so will make it easier for your arteries to heal. 3. Lower your stress. 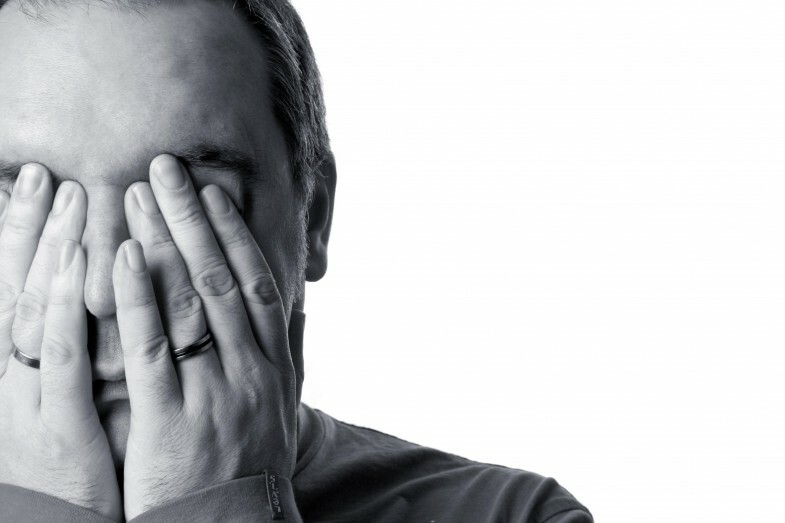 High levels of stress can cause your blood vessels to constrict and narrow. When this happens, the narrow space left amidst all the plaque in your arteries only becomes even narrower, making it more difficult for your blood to flow. 1. Consider taking an algae supplement. 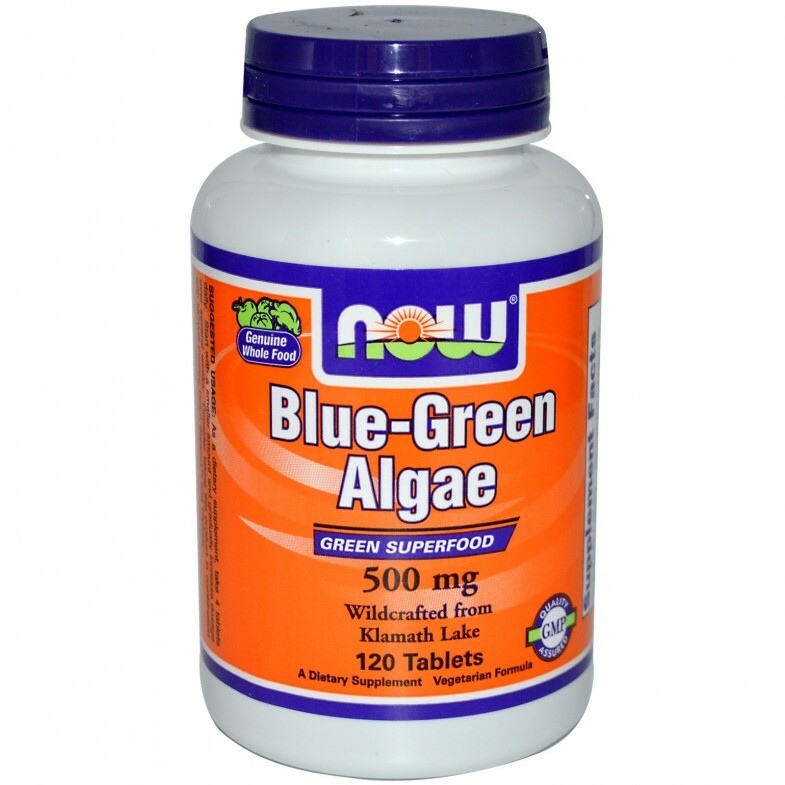 Blue-green algae, also called spirulina, can be taken in supplement or powdered forms. Taking as much as 4500 mg per day can help relax artery walls. Your blood pressure may also become normalized, and your “bad” LDL cholesterol can drop by as much as 10%. 2. 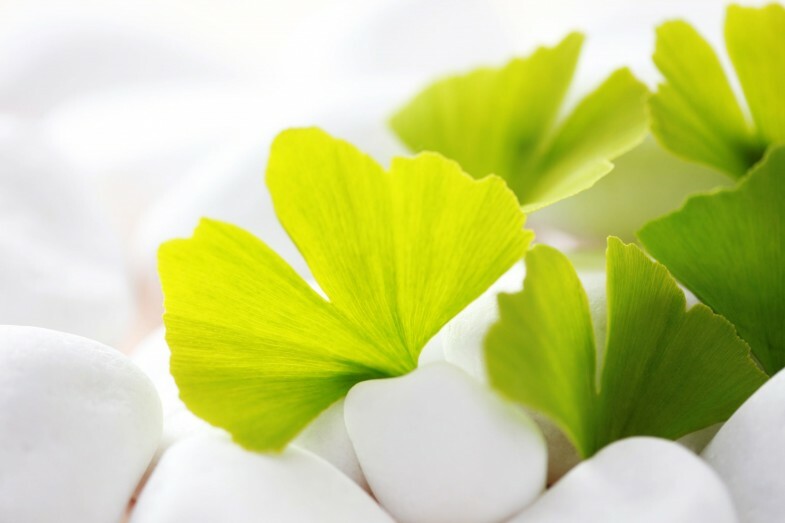 Try ginkgo biloba. Some studies suggest that this herb dilates blood vessels and reduce the stickiness of blood, which helps promote better blood flow through the arteries. 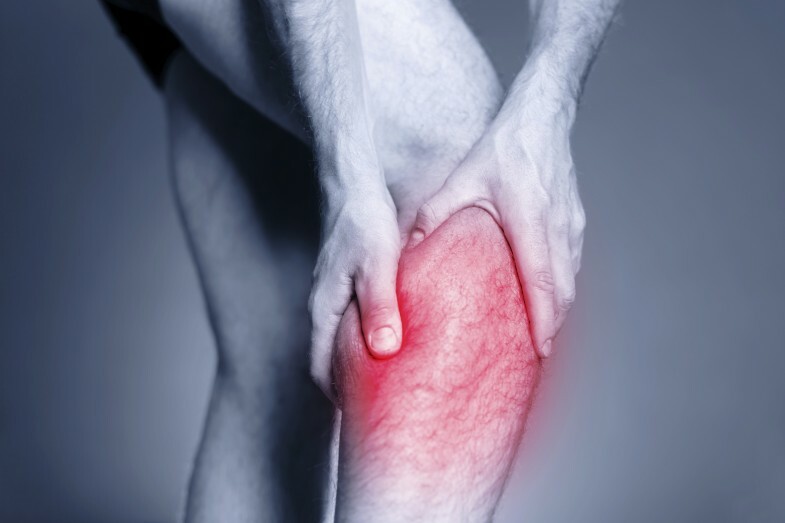 This supplement can be especially helpful in treating leg pain associated with clogged arteries. A good dosage to start with is about 120 milligrams per day. This is a low dose, and you might be able to increase it to as much as 600 milligrams per day if your doctor recommends it. 3. 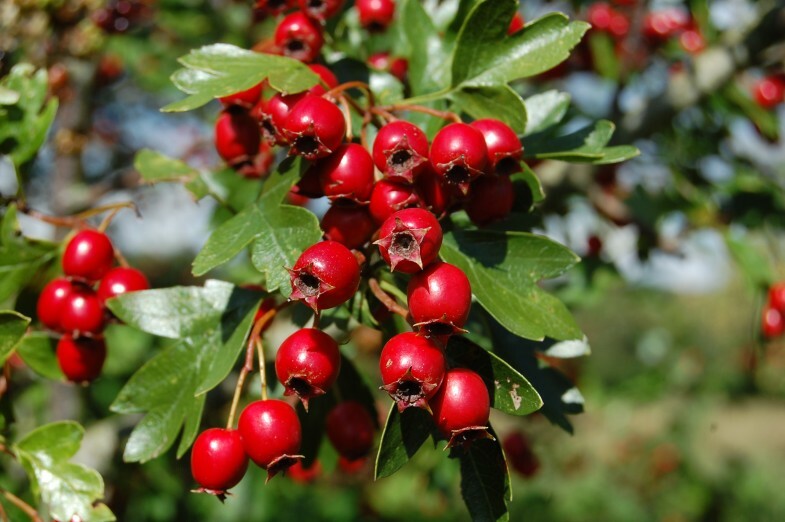 Learn about taking hawthorn. When taken regularly, this herb is believed to help strengthen the heart muscle while relaxing blood vessels. As a result, blockages in your arteries are less likely to form or stick around. Start with a low dose around 160 milligrams, taken in two to three daily doses. If necessary, you might be able to increase this amount to as much as 1800 milligrams per day. 4. Find out about red yeast rice. 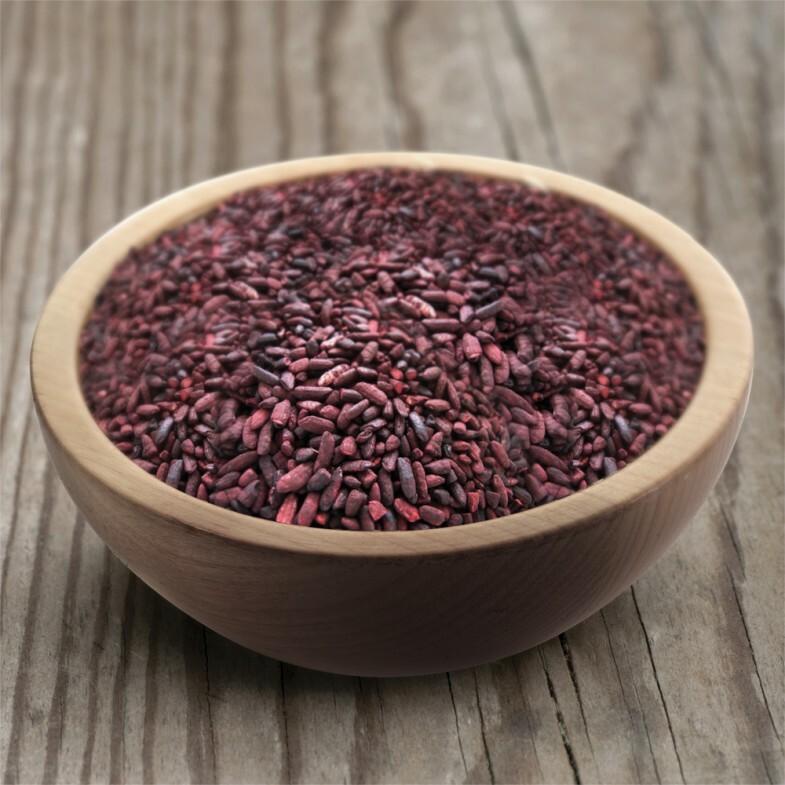 Red yeast rice is an herbal remedy commonly used in Chinese medicine, but it has received only limited testing within the United States and other Western societies. Chinese studies suggest that red yeast rice can lower “bad” LDL cholesterol and raise “good” HDL cholesterol. Note that this herb resembles some statin drugs and may interfere with the effectiveness of statin drugs, so it is not recommended for anyone currently on such medications. Note: Always consult your doctor before making any major changes to your diet, exercise, and overall lifestyle. You should also check with your doctor before taking any unverified herbal remedy. For most people, none of the information presented here will pose a health risk, but each person can vary. 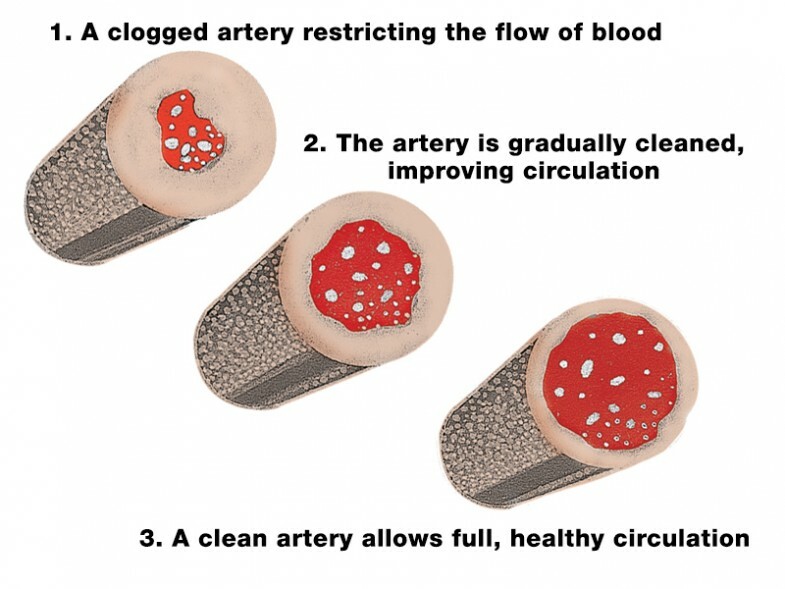 Moreover, your doctor will be able to work with you to prescribe the best treatment plan for unclogging your arteries. 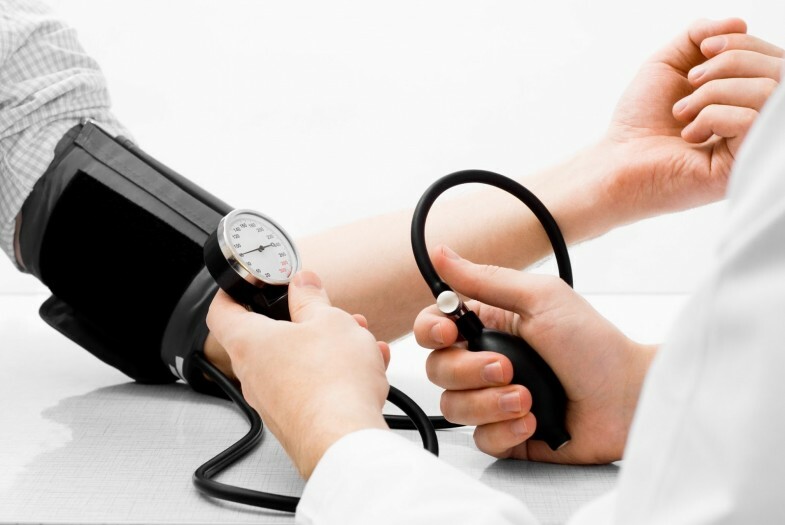 Uncontrolled high blood pressure can lead to kidney damage, eye damage, cardiovascular disease, heart attack, stroke and several other serious health problems. Controlling high blood pressure, also known as hypertension, reduces the risk of cardiovascular problems in later life. While some people need medication to control hypertension, many people can significantly reduce their blood pressure by making a few lifestyle changes. In addition, there are several superfoods that can significantly reduce blood pressure levels, particularly when eaten regularly. 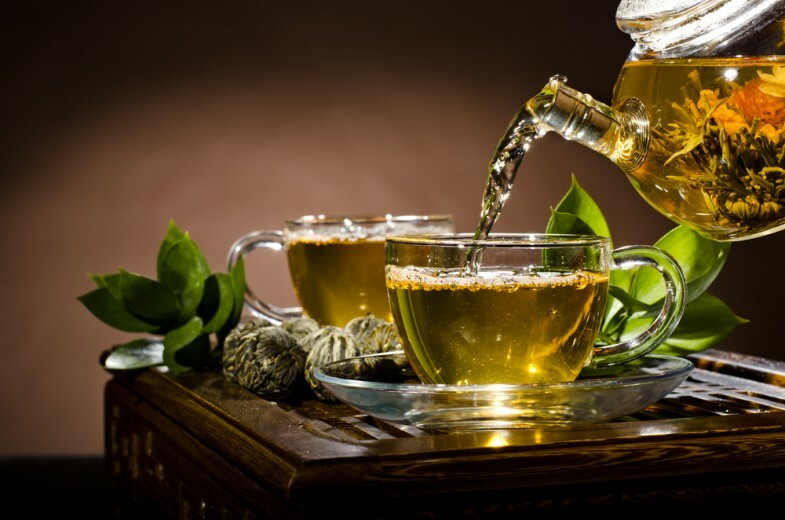 Green tea contains catechins, powerful flavonoids that can lower blood pressure, LDL cholesterol levels and help to reduce the risk of heart attacks and stroke. Some studies have shown that compounds found in green tea can reduce the stickiness of blood, helping to prevent blood clots and arterial disease. Drinking one to three cups of green tea every day can also help to prevent kidney problems, a common cause of secondary hypertension. 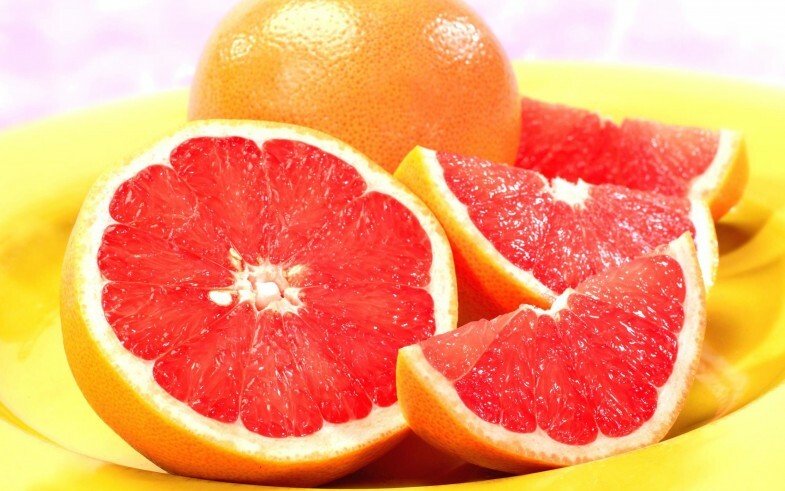 Eating just one grapefruit every day has been shown to significantly lower LDL cholesterol levels, helping to reduce the risk of atherosclerosis and complications associated with long-term hypertension. The high vitamin C and antioxidant content of grapefruit can also help to prevent damage to the blood vessels and arteries. While all types of grapefruit contain heart-protecting compounds, red grapefruit provides especially high amounts of vitamin C.
Apples are one of the best sources of quercetin, a flavonoid and antioxidant that reduces the damage caused by harmful free radicals in the body. Free radicals can damage the cardiovascular system and hasten the onset of atherosclerosis, a common cause of hypertension. Eating an apple a day is a simple way to protect the heart and lower blood pressure. 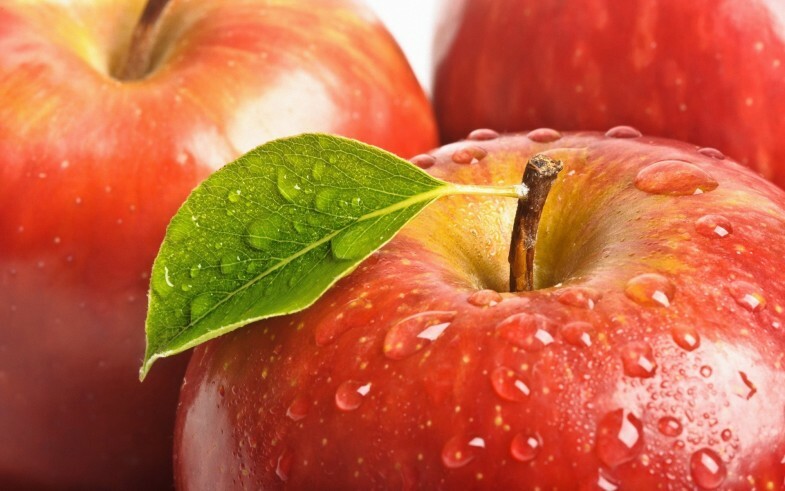 In addition, apples provide slow-release energy to help stabilize blood sugar levels and promote weight loss, which brings long-term benefits to the heart and cardiovascular system. 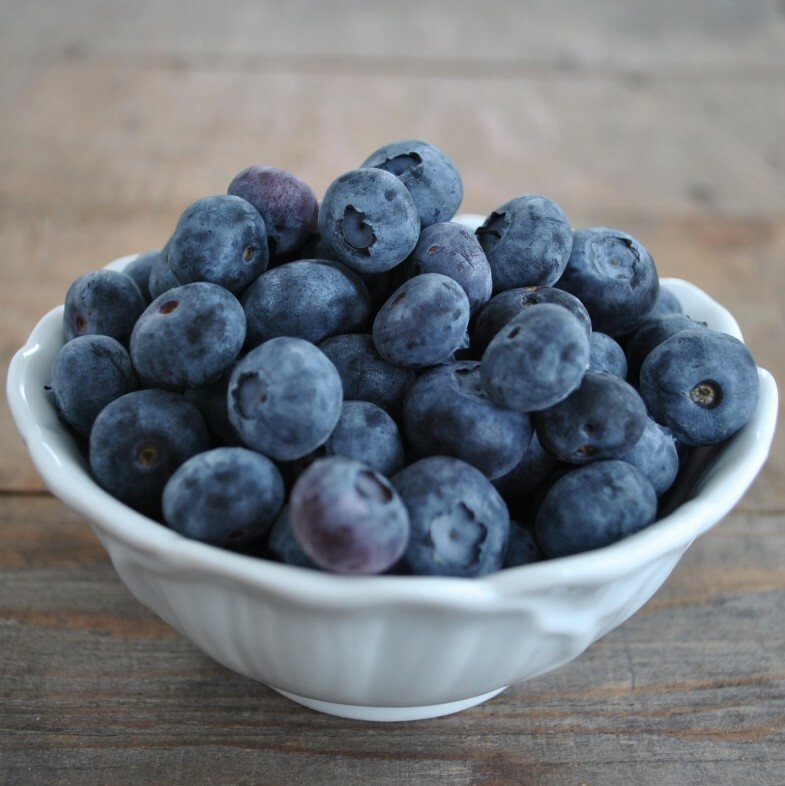 Blueberries contain powerful antioxidants called anthocyanins and proanthocyanidins, which lower blood pressure by acting in a similar way to ACE (angiotensin-converting enzyme) inhibitors, one of the most popular anti-hypertensive medications prescribed by doctors. ACE inhibitors work by blocking the production of an enzyme that causes damage to blood vessels and arteries. Regular intake of blueberries, when eaten raw or consumed as juice, also helps to reduce levels of LDL cholesterol, also known as bad cholesterol. 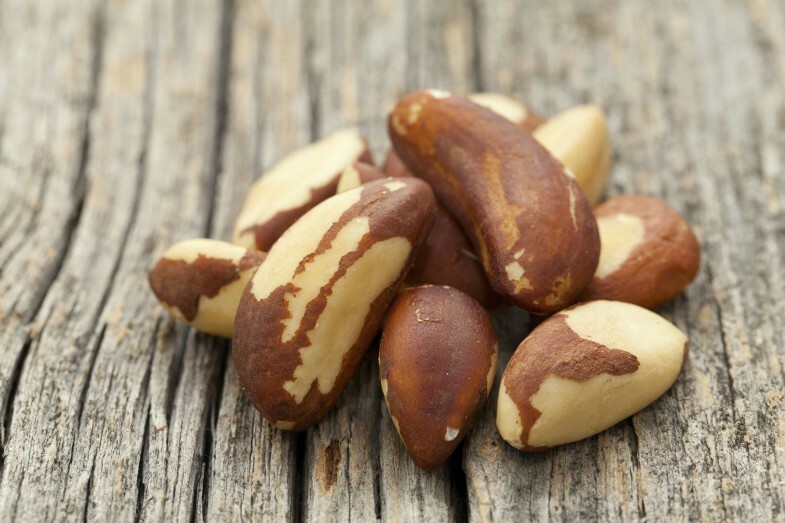 Brazil nuts provide the richest food source of selenium. Regular intake of selenium can cut the risk of developing coronary heart disease by up to forty percent, particularly when combined with other nutrients and minerals found in Brazil nuts, such as magnesium. Adding two or three chopped Brazil nuts to breakfast cereal, yogurt or a bowl of fruit is a delicious way to protect the heart and cardiovascular system. Broccoli is packed with heart-protecting phytoestrogens and nutrients, including vitamin C, magnesium, calcium and folate. The high antioxidant content of broccoli makes it ideal for those trying to reduce high blood pressure and cholesterol levels. As many of the nutrients present in broccoli can be destroyed through overcooking, it is best to choose raw, lightly stir-fried or gently steamed broccoli. Garlic contains a substance called allicin, which provides a range of health benefits for the heart, cardiovascular system and immune system. Allicin has been shown to help reduce blood pressure in hypertensive patients and can also lower cholesterol levels in those with elevated levels of LDL cholesterol. Regular consumption of garlic can also increase elasticity of the arteries, helping to reduce the risk of atherosclerosis, a common cause of hypertension. 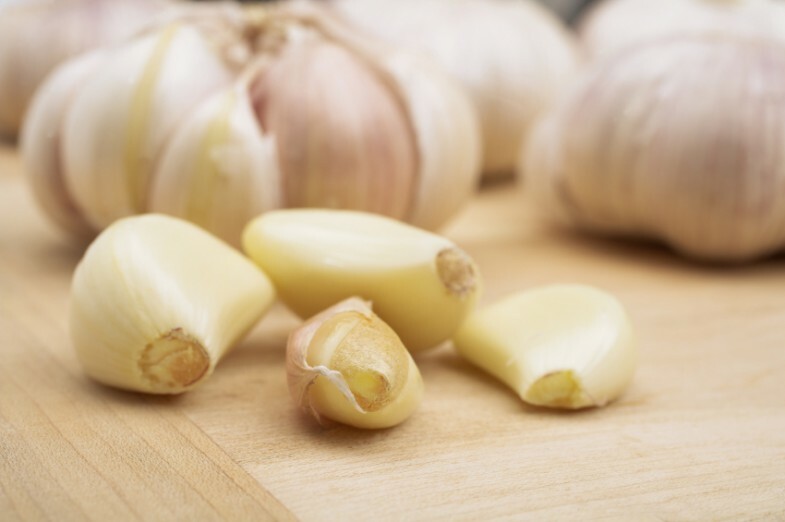 As raw garlic can cause gastric upset in some people, garlic capsules are often the best choice for increasing intake of allicin. Almonds are a rich source of vitamin E, a powerful antioxidant that helps to protect the heart and cardiovascular system. Eating a handful of almonds every day can reduce levels of LDL (low-density lipoprotein) cholesterol by up to five percent. High levels of LDL cholesterol are linked to a range of cardiovascular problems, including hypertension, heart disease and atherosclerosis. Boost vitamin E intake by sprinkling flaked almonds on top of breakfast cereal or adding almond powder to fruit smoothies. Oily fish, such as tuna, mackerel and sardines, is packed with heart-protecting omega-3 fatty acids, along with antioxidants, vitamin A and vitamin E. Most oily fish also contain vitamin D, an essential nutrient for ensuring general good health. 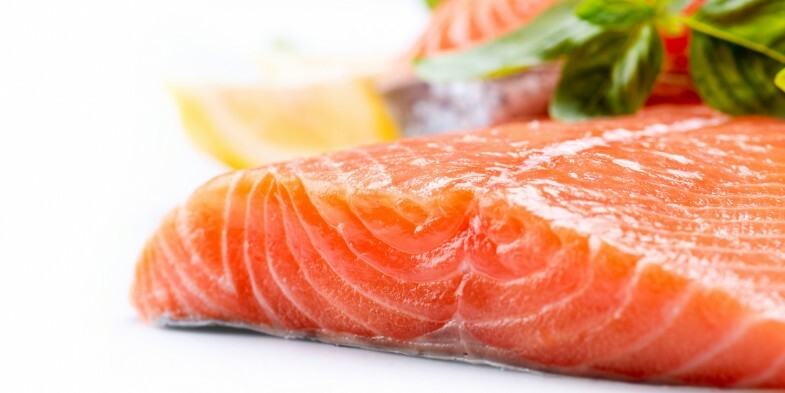 Eating just one portion of oily fish every week can cut the risk of developing atherosclerosis, cardiovascular disease, heart attack and stroke. For maximum benefits, eat oily fish three times a week or take a daily fish oil supplement. 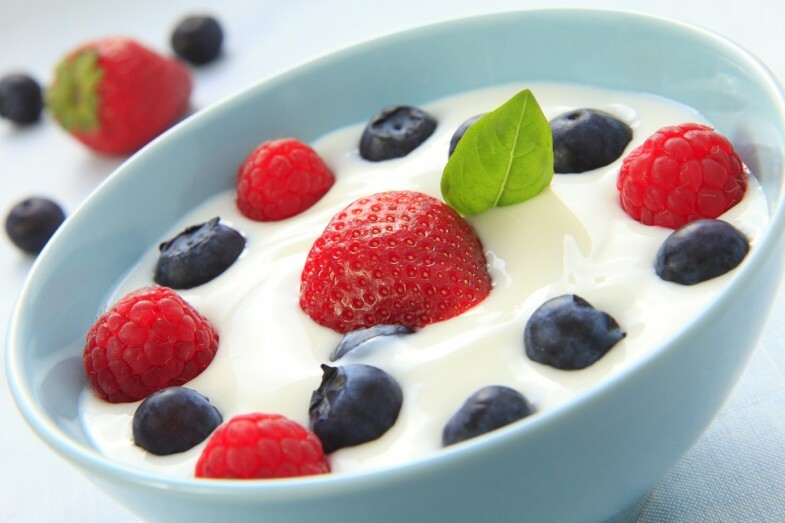 Live yogurt contains probiotic bacteria that can reduce blood pressure by blocking the action of angiotensin-converting enzyme (ACE), working in a similar way to ACE inhibiting medication. Live yogurt is also a rich source of calcium, magnesium and potassium, all of which are needed for a healthy heart and cardiovascular system. Eating a yogurt every day can also help to protect the bones, muscles and other important tissues. Hypertension is often a long-term health condition, but there are many different ways to reduce the risk of associated health complications. Eating a healthy diet and adding a few heart-protecting superfoods to meals can make a big difference to blood pressure levels. Are you one of the many Americans that have been told they have high blood pressure? You’re not alone, as according to the CDC, 75 million American adults (nearly 25% of the entire US population) have high blood pressure. High blood pressure increases the risks of heart disease and strokes, the number 1 and 3 top causes of deaths in America. This is why high blood pressure is called the ‘silent killer’. It also costs an estimated $46 billion a year in medical expenses which includes doctor visits, medications, hospital and other healthcare in addition to days missed at work. As your heart pumps blood through your arteries, it has a force that is exerted against the walls of the arteries. It’s this force that doctors and nurses measure. That pressure in your arteries rises and lowers at certain times of the day. It also increases with physical exertion. There are two pressures measured, one when the heart beats (systolic) and the other when the heart relaxes between beats (diastolic). Most medical experts consider blood pressures ranging from 90/60 to 120/80 as normal blood pressure. Pressures measuring just over 120/80 to 140/90 are considered pre-high blood pressure and anything over 140/90 is considered high blood pressure. Under normal circumstances, it’s not unusual to see high blood pressure readings after exercising or working hard, but if it stays high, then it’s something to worry about. I’ll confess that I have been diagnosed as having high blood pressure, but was told that it is probably due to my being overweight and having too much salt or sodium in my diet. Many years ago, when I lived in Arizona and worked outside in the hot summer sun, I cut back on my sodium intake because my dad was told he had high blood pressure and I took after him in many ways. However, I ended up getting sick and nauseous a lot and a doctor told me that I had cut too much sodium out of my diet. Now I have high blood pressure and have been told to cut back on the sodium. After swearing I would never be one of those health nut label readers, I find that I now read labels on most food items. I watch for salt, sugars and fats, mostly. Yes, I have been cutting back on my sodium to help keep my blood pressure lower. But is that really necessary? Does a low-sodium diet always help lower high blood pressure? Before you run out and grab the salt shaker and begin sprinkling your food or diving into a bag of potato chips or popcorn, please do check with your doctor. Everybody’s system is different and what works for one person may not work for another. One way or another, if you have high blood pressure, try to lose extra weight if you are overweight and take whatever medication your doctor prescribes. High blood pressure-also known as hypertension or “the silent killer”-affects 1 in 3 adult Americans, or roughly 67 million people, and that number only continues to grow. 90-95% of cases are known as primary hypertension, which is hypertension with no underlying medical cause. The small left-over percentage is caused by conditions such as kidney disease. But what is this mysterious silent killer? Blood and its circulation are vital to sustain life. They supply crucial nutrients and oxygen to all the cells and organs in our body. They also remove waste and carbon dioxide. 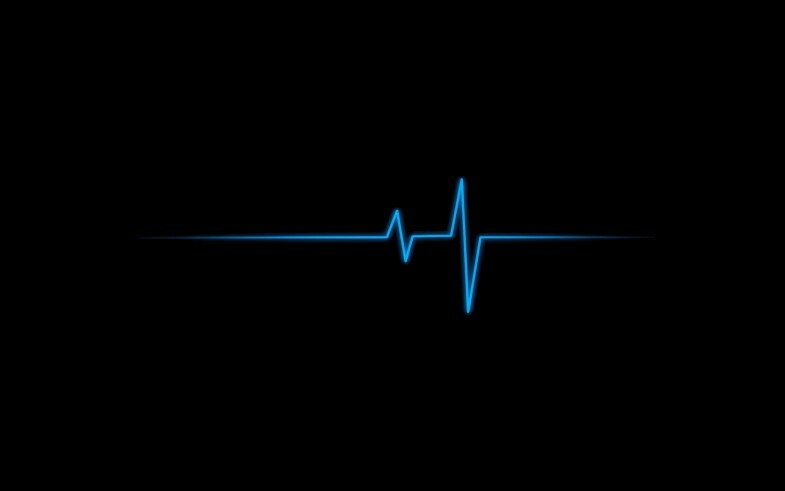 When the heart beats it creates pressure that pushes blood through your arteries and veins. This pressure, if you haven’t guessed, is our blood pressure. Two forces pump the blood through our bodies, the first being created by the heart pumping blood out into the arteries, and the second occurs when the heart rests between beats and blood is drawn back into the muscle. 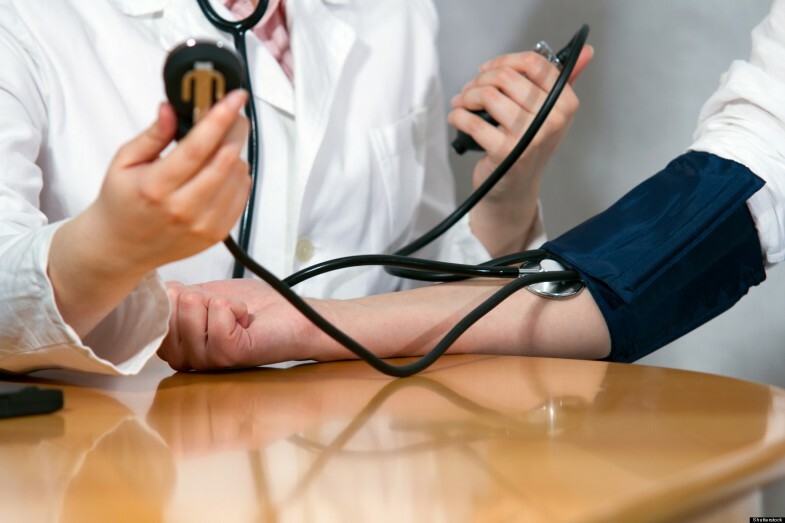 When your blood pressure rises, damage can occur that upsets this system. If you have hypertension, your heart has to work extra hard to pump blood through the body. And while healthy arteries are made of semi-flexible muscle, the force of high blood pressure will lead to overstretching their walls. This overstretching can lead to tiny tears in blood vessels (known as vascular scarring) that leaves tissue that catch things such as cholesterol/plaque, and other blood cells. Building off of the latter, this leads to an increased risk of blood clots. The walls will also become weakened over time. 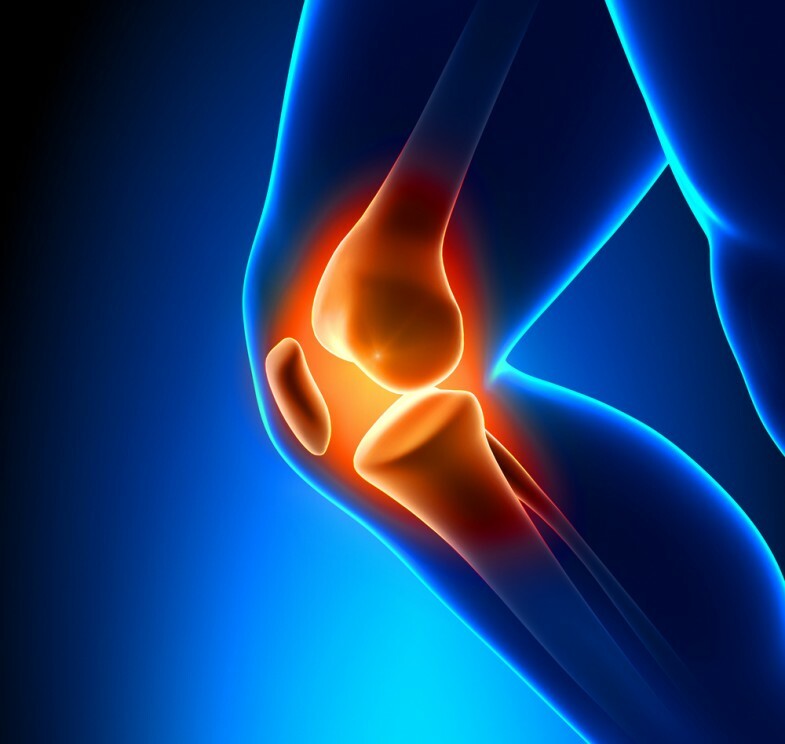 Tissue damage from being oxygen depleted occurs in parts of the arteries on the other side of a blockage or build-up of plaque, depriving it of fresh oxygenated blood, and heart attacks and strokes are the result if the pressure becomes too high. Salt is not the problem when it comes to high blood pressure, per say, but rather its chemical component sodium. A little bit is fine, but too much sodium disrupts the balance of fluid in the body. To “flush” the excess salt from your system, water is drawn from surrounding tissues. The higher volume of liquid results in the heart working harder to pump the blood-hence, high blood pressure. Sure we use a lot of table salt on our foods, but still, that amount isn’t enough to account for the rise in blood pressure. 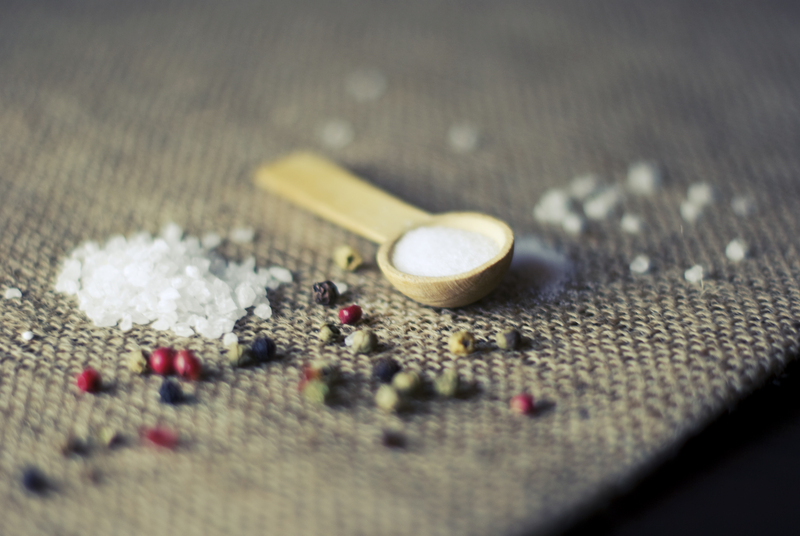 Actually, only 6% of our salt consumption comes from the table shaker. The vast amounts of salt we consume daily (on average 1-2 generous teaspoons) couldn’t possibly be caused by the salt we sprinkle on our food alone. No you have to dig a little bit more to get to the source-processed foods. Such an extraordinary quantity of excess salt is added into processed foods it’s easy to stray over the healthy limit of sodium intake. A specific example-a single microwave “roast turkey” meal can have salt in the meat, the flavoring, the gravy, the stuffing, and the potatoes, to equal a whopping 5,400 milligrams of sodium. The utmost maximum daily limited is listed at 2,300 milligrams-even less for African Americans, men, and anyone over the age of 51. If you fall into one of those categories, you should only consume less than ½ teaspoon a day. Even foods that are labeled low-fat or low in sugar can still contain a boatload of sodium. Food companies do this to, logically, increase the value of their products. We get hooked on the flavor. Of all the flavors (sweet, sour, etc.,) it is the hardest to live without. How do you fight it to lower your blood pressure? In short, slowly add less and less to your cooking. And of course, read the labels on the food you buy carefully. Remember the number 2,300 for daily intake of sodium-any higher than that, and it’s a no-go. You’ll find yourself turning to home cooked meals, where you can control the amount of salt added, instead of processed foods. Stick with it, and you will find if you go back to an excess amount of salt after adjusting your taste buds to less, you will be close to repulsed at the flavor. Intensive research has shown that the more salt you eat, the more you need. If you eat less salt, you only need to add less to your food or have less in your food, to be satisfied with a smaller amount. We are not born liking salt. A baby will get joy from a droplet of sugar water, but there is no taste, no craving, for salt until 6 months of age. When studied children were fed salty foods, versus children who ate more fruits and vegetables, a craving was created in the former group where none existed before. 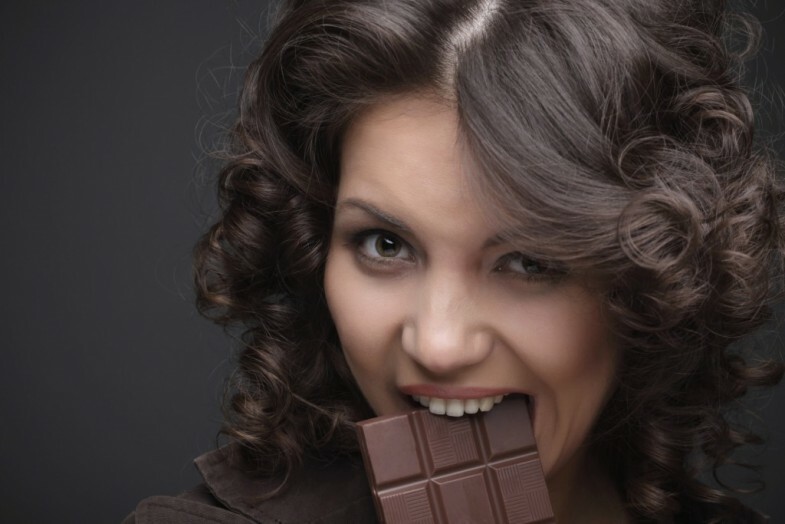 These cravings can shape you’re eating habits for years. Soups, chips, crackers, pizza, sauces, fries, etc. etc., it’s easy for even the young generations to get hooked on salt at an early age. Keep your wits about you! Cultures across the world have used hibiscus to naturally manage blood pressure, but it wasn’t until the past decade that studies were actually conducted that showed there was more to the remedy than just folklore. First, hibiscus acts as a diuretic, which draws sodium from the bloodstream, thus decreasing the pressure on the arterial walls. Even more interesting is how it can mimic angiotensin converting enzyme (ACE) inhibitors. ACE inhibitors are a common group of pharmaceutical drugs used to treat high blood pressure. 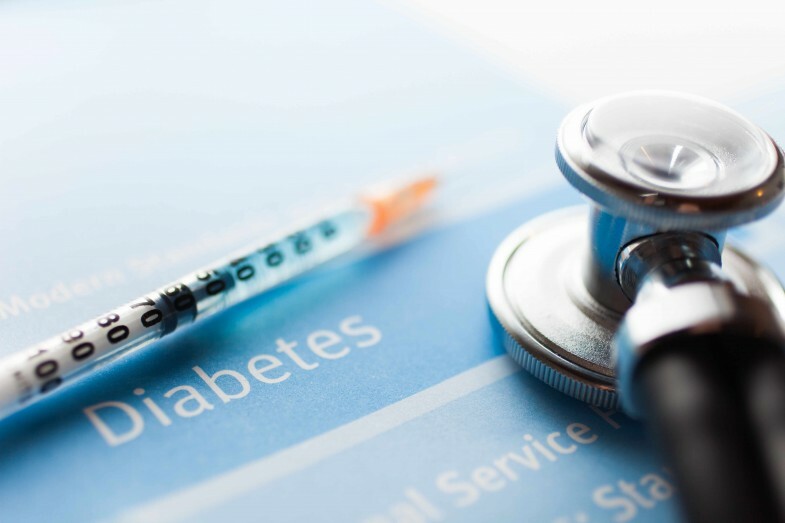 They work by hampering the angiotensin-converting enzyme, which plays a crucial role in the renin-angiotensin system- a hormone system that regulates blood pressure and fluid balance. As a result of this inhibition, blood vessels relax and blood volume is lowered, decreasing blood pressure. While certainly not as potent as those ACE drugs prescribed, it can still be surprisingly effective. Coconut water is found inside the shell of green, unripe coconuts that retains its natural benefits in organic and raw form. It contains potassium and magnesium, both of which relate to regular muscle function, and of course, the heart is a big giant muscle. While there have been some limited studies on the effect of coconut water on hypertension, many people report anecdotally that it has helped lower blood pressure. In studies, it seemed to particularly affect systolic blood pressure, or the force that takes place when the heart pumps blood away from it. If you don’t have a problem with coconut water, it may prove to be a solid remedy for you. Hawthorn is a staple herb when it comes to heart health as it is rich in flavonoids, namely, oligomeric procyandins (OPC’s) and quercetin. Flavonoids are touted as having many benefits, but one of the most intensely studied conditions that it affects is various forms of heart disease. This includes arrhythmia, palpitations, improve the function of capillaries, regulate glucosemetabolism and, of course, reduce arterial blood pressure and the risk of hypertension. There are several different mechanical actions that flavonoids can take on the blood, but pertaining to hypertension the most important may be the widening of the blood vessels, which ultimately reduces the pressure of the blood. You can enjoy hawthorn in the form of a tea or in the form of “balls”, which is what is given below. The recipe also calls for cinnamon and ginger, which are great for helping circulation flow smoothly. It was the herbalist Rosemary Gladstar who taught me how to make these wonderful herbal balls, and while I’ve tweaked the recipe some, I’ll forever be grateful to her for tuning me into this wonderful way of enjoying herbal medicine! Along with diet, exercise should really be number one on this list. Nothing can replace what exercise does for the body, and in a society where we are becoming increasingly sedentary, it can take a bit more effort to get out and get moving-but it’s worth it, especially if you have high blood pressure. The heart is a muscle, and it will grow stronger with exercise. It becomes easier to pump blood and takes less effort, keeping your heart in better condition and lowering how much force it exerts on your arteries, thus lowering blood pressure. Exercise is, in many cases, all that you need to get your blood pressure back on track. The top number in a blood pressure reading indicates systolic blood pressure, which is created by the heart pumping blood away from it. Exercise can lower this reading by an average of 4 to 9 millimeters of mercury (a unit of pressure), which is easily as much as some prescription blood pressure medications. A pleasant side effect of exercise is weight loss, which also does your heart and arteries a great favor. Garlic is one of those home remedy staples. It is rich in beneficial constituents that address a wide range of ailments, once of which happens to be hypertension. There is just one little catch though. Allicin, the organosulphur-sulfur containing- compound responsible for several of garlic’s health benefits, doesn’t fare as well in the human body when garlic is eaten raw. Allicin is relatively unstable, and is typically deactivated when it comes in contact with a substance with a pH lower than 3, such as our stomach acid. However, when taken in tablet form, there is a guaranteed allicin yield that ensures you get the proper amount to have solid results when it comes to lowering blood pressure. Be sure when getting the tablets that there is a release of allicin in a significant, standardized amount-in several studies involved with blood pressure, 1.8 milligrams per dose lowered blood pressure by 10% within 12 weeks. Every morning, be faithful to watermelon. Often times watermelon as viewed as a strictly summer fruit, one for seed spitting contests and barbecues, but it can also help lower blood pressure. An organic compound called citrulline, an a-amino acid, was first isolated in 1914 from watermelon. Once ingested, the body can convert citrulline to the amino acid L-arginine, which is a precursor to nitric oxide. To translate, citrulline-found in watermelon- is converted into arginine-essentially a chemical building block-which leads to the production of nitric oxide. Nitric oxide talks to various cells and systems in your body that regulates, among other things, how hard your blood gets pumped through your entire body-also known as vascular systematic resistance. It will widen blood vessels, which lowers vascular resistance, which ultimately lowers blood pressure. Imagine trying to pump a certain volume of liquid through a small opening versus a wider opening. The wider opening will allow it to flow smoothly and easily-it’s the same with blood cells! A study done in December of 2009 published in the Indian Journal of Biochemistry & Biophysics gave a group of participants 1 teaspoon of cardamom powder daily for several weeks. The results showed a significant reduction in blood pressure. While further research is needed to pinpoint exactly why it seems to help, it has still proven itself a useful home remedy for high blood pressure. Combined with ginger and cinnamon, both warming spices that improve circulation, you can make a lovely tea to help your heart get healthy. Interestingly enough, black tea seems to improve blood pressure in some instances. Cat’s Claw (Uncaria tomentosa) is a woody climbing vine found in South and Central America, with its most notable use being in the Amazon rainforest. It is named after the thorns on the plant which are hooked, much like cats claws. It has been used as a traditional remedy in its native habitat for a long time, but test tube studies finally revealed evidence for promising benefits, one amongst them being lowering blood pressure. It does so by dilating the blood vessels (known as vasodilation) and therefore lowering the pressure by allowing blood to flow through more readily. It can also act as a mild diuretic, getting rid of unneeded salt and water in the body, which can again reduce hypertension. The tannins and flavonoid are most likely the main constituents that account for the herbs healing actions. Here it is made into a flavorful decoction that will give you all of its benefits. A decoction is essentially a tea, but is simmered for much longer as it is made from the woody, tough, fibrous parts of the plant such as roots or (in this case) bark. There are two things to keep in mind when searching for your herb-first, make sure its scientific name matches the one above (there are several other plants known as cats claw) and secondly, make sure it is from an ecologically sustainable Cats Claw should be avoided by women who are pregnant. Syrups are, hands down, one of my most favorite ways of incorporating the benefits of herbs and spices into daily life. While the word “syrup” may make you think of something sickly sweet and heavy-the opposite of what you want for heart health-that isn’t the case here. The “syrup” that you see on grocery store shelves may not be the best, but made at home it is a wonderful (delicious) way to give yourself a natural boost. And if we’re honest with ourselves, sometimes choking down bitter tea makes it hard to stay on track with a remedy. Blueberries are rich in the flavonoid quercetin, the benefits of which are explained in remedy number 5, as it is also found in hawthorn. You can mix in elderberries for an extra heart healthy kick as well-surprise, surprise they’re good for more than just warding off the cold and flu! Add the dried berries to the water and bring to a simmer over low heat. Continue to simmer until the liquid is reduced by half. Strain the solids out, pressing on them to extract any extra juices, and pour the liquid back into the pot. Stir in the honey, warming the mixture just to ensure the two blend together thoroughly. Here there are two different paths you can take. For thicker syrup, heat the honey and berry juice over medium-high heat for 20 minutes. If you’d rather not cook the syrup, and are ok with one that is slightly thinner, skip this step. Once mixed, bottle and label and store in the refrigerator for up to 3-4 weeks. Take 1 tablespoon twice daily. When the nurse wraps the cuff around your upper arm and then announces two seemingly random numbers, what’s going on? Two forces pump the blood through our bodies, the first being created by the heart contracts and pumps blood out into the arteries, and the second occurs when the heart rests between beats and the heart muscle is refilling with blood. These two forces are known as systole and diastole respectively, and are the numbers you see on a blood pressure reading. The systolic pressure is the top number (or the first one read) and is the higher number, and the second number is diastolic, and is the lower number. So the next time you get your blood pressure read, remember the first number is referring the force of blood being pumped away, and the second number is the heart at rest refilling with blood. The systolic number should be less than 120, while the diastolic number should be less than 80. Anything higher and you enter pre-hypertension and hypertension. 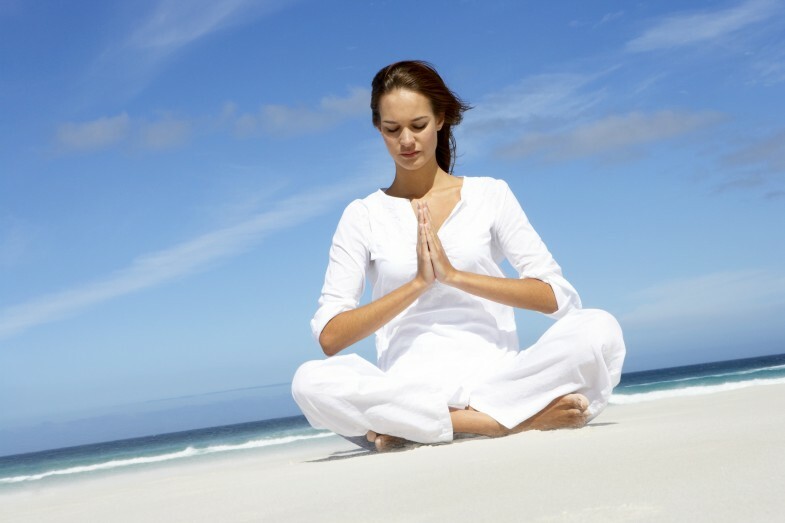 Most people do not know about magnesium or how important the mineral can be for our health. You need to understand that Magnesium is involved with over 300 metabolic processes in the body, which has lead to the mineral being called the “master mineral”. 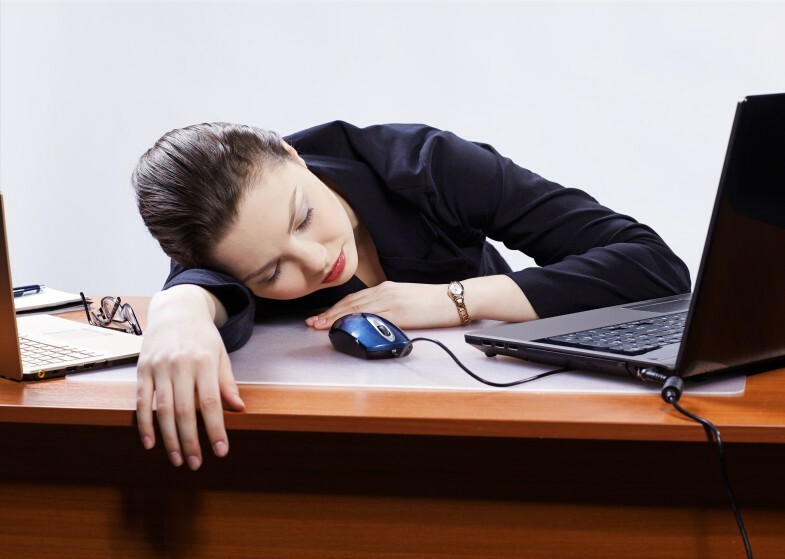 So do you know how to spot a magnesium deficiency, and what the symptoms are? Keep reading! Magnesium is important because it’s a mineral used by every organ in your body, especially your heart, muscles, and kidneys. If you suffer from unexplained fatigue or weakness, abnormal heart rhythms or even muscle spasms and eye twitches, low levels of magnesium could be to blame. Thanks to modern farming methods that use chemical fertilizers, pesticides, and insecticides that are absorbed into the soil, out topsoil has been heavily depleted of its mineral content. This mineral is now missing from most of our topsoil. By some estimates, up to 80% of Americans are not getting enough magnesium and may be deficient. Other research shows only about 25% of US adults are getting the recommended daily amount of 310 to 320 milligrams (mg) for women and 400 to 420 for men. What is even more concerning is that consuming just this amount is only enough to ward off deficiency. Organic foods may have more magnesium if grown in nutrient-rich soils but it is very difficult to make that determination. If you opt for a supplement, be aware that there are a wide variety of magnesium supplements on the market, because magnesium must be bound to another substance, is there’s no such thing as a 100% magnesium supplement. The substance used can affect the absorption and bioavailability of the magnesium, and may provide more targeted health benefits. Magnesium threonate and citrate are some of the best sources, as it seems to penetrate cell membranes which results in higher energy levels. Besides taking a supplement, another way to improve your magnesium status is to take regular Epsom salt baths or foot baths. Epsom salt is a magnesium sulfate that can absorb into your body through your skin. Magnesium oil can also be used for topical application and absorption. Whatever supplement you choose, be sure to avoid any containing magnesium stearate, which is a common but potentially hazardous additive. The best way to tell if you are getting enough magnesium is the “bowel test”. Like I mentioned above, if you have too much magnesium your stools become loose. However, this may be a blessing for people with constipation which is one of the many ways magnesium deficiency manifests. This anti-inflammatory mineral offers protection against illnesses like arthritis and Alzheimer’s disease, magnesium has been used to aid problems like high blood pressure, diabetes, respiratory issues, and much more. While observing bodily signs can help you tell if you have a deficiency, you may want to have some tests administered. If you’ve recently had a blood test, you might assume it would show a magnesium deficiency. But only 1% of magnesium in your body is distributed in your blood, making a simple sample of magnesium from a serum magnesium blood test not very helpful. You can find inexpensive products that feature magnesium citrate, which is among the most readily absorbed forms of magnesium supplements. You can also apply transdermal magnesium chloride topically to be absorbed internally through the skin. Magnesium chloride is also known as magnesium oil, though not really an oil, more of a briny solution from ancient sea beds. It is available through various online sources, so just Google magnesium oil products to locate some.